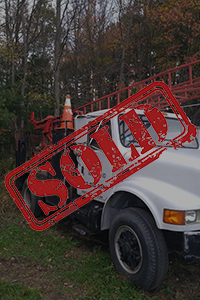 Thank you for using ESP's Used Rig Classifieds Page. This Page is free to use for current and future costumers of ESP Supply. ESP monitors and maintains this page but has no involvement in the sale or purchase of items listed below. 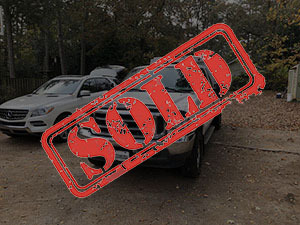 As such, ESP removes itself from all liability in regards to the sale purchase or representation of any transaction with regards to these ads. 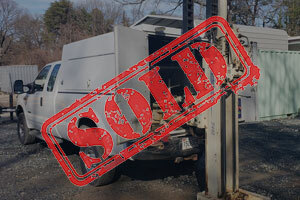 Any questions or concerns should be directed towards the seller themselves. For more details on this please see our Disclaimer page. 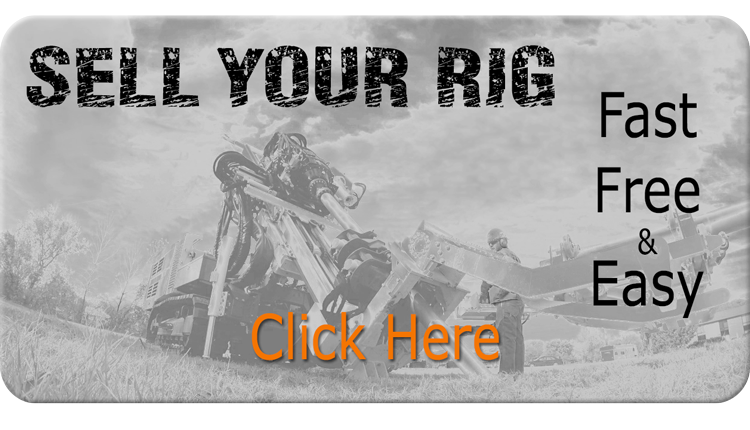 If you would like to list your rig on here please click the image above and fill out the form. 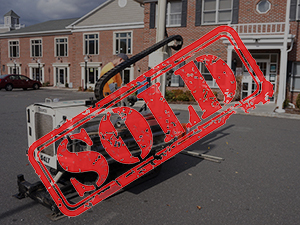 New listings are added as time permits. 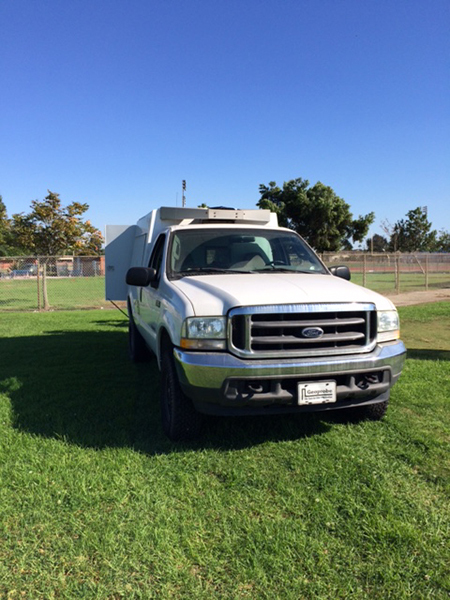 Additional Info: 2002 Geoprobe 5410 (3734 hrs) mounted on 2002 F350 (134,755mi) with 7.3 diesel engine. 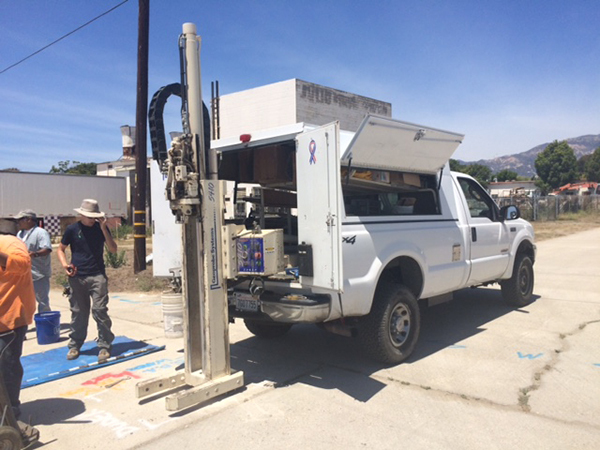 Water tank, vise, tooling racks, vacuum volume system. Newer hydraulic tank. Truck and probe operate nicely (trans doesn’t shift to overdrive). Will include some basic tooling. Additional Info: Original owner. 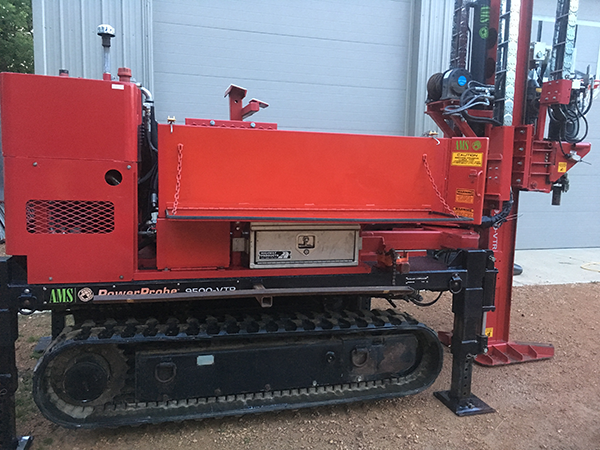 Rubber track mounted, GH40 Hydraulic hammer and optional tooling rack. Kubota 22 hp 3 cylinder diesel engine (D1105-E). 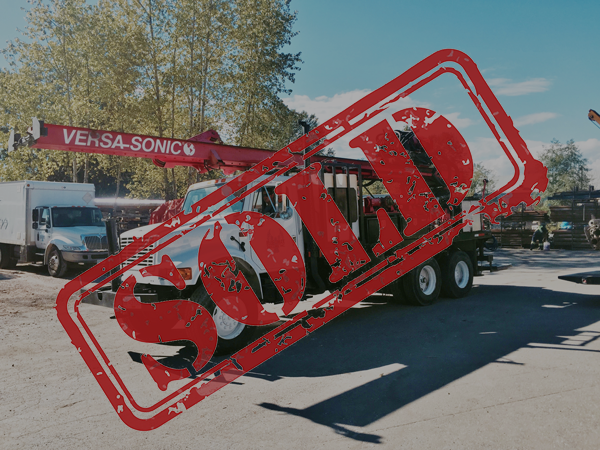 The rig will fit through a standard doorway and is equipped with a DCL International Inc. Mine-X Catalyst exhaust purifying muffler for indoor use. Various tooling included. 2006 Haulmark dual axel trailer 6x12 trailer included. 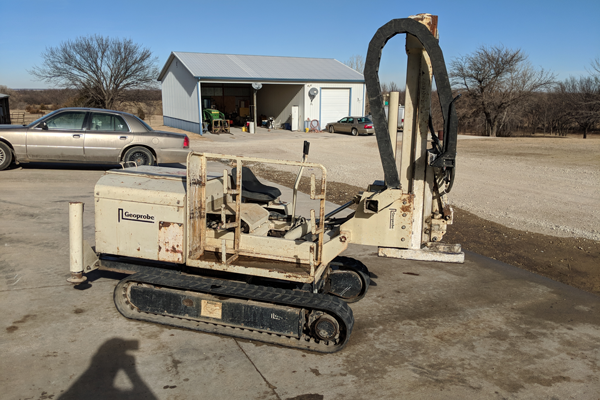 Contact Name: Russ Posthauer, Jr, P.E. 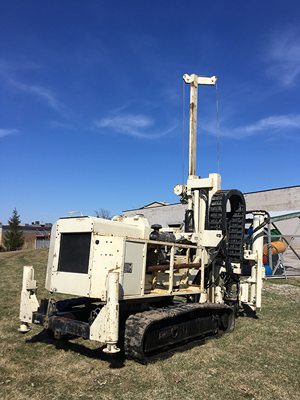 Additional Info: This rig has very few hours on it and has been kept in good working condition. 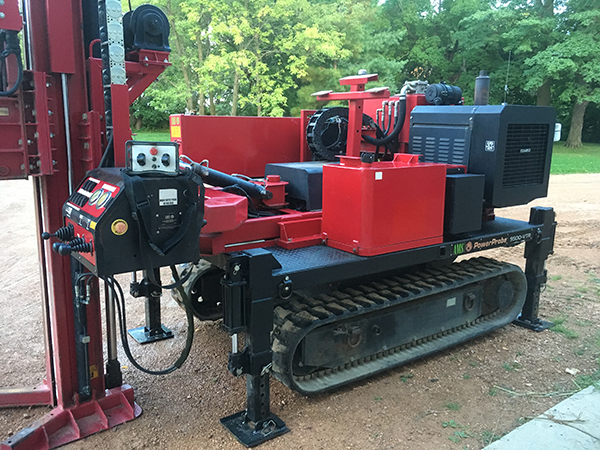 This ad is for the drill rig only and does not include any tooling or rod. Current asking price is $29,000 OBO. 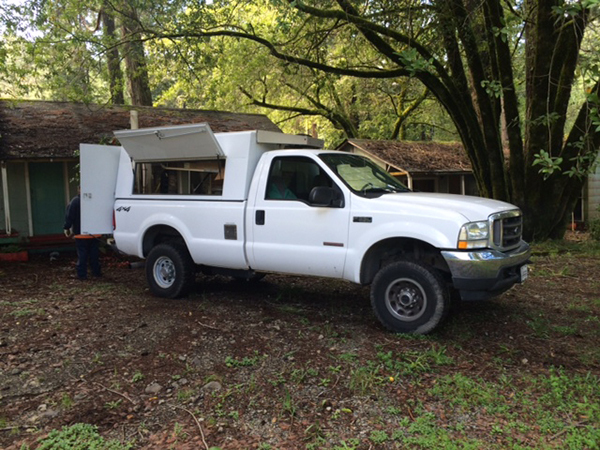 Additional Info: Regen, Hydraulic Cooler, RPM Controller, Tool Racks & Liner Rack, Vac/Volume System, Auxilliary Hydraulic Ports, Onboard Water Tank with Spigot and work table mounted in the bed. 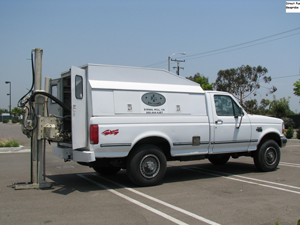 PC100 topper with a roll-up door on the back and large side doors. Additional Info: Hours are estimated. Moyno 3LD, cathead. Rig & truck just serviced. The rig underwent a minor refurbishment in 2017. Additional Info: Currently registered Non-Op. 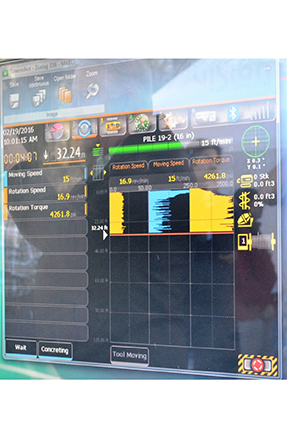 Additional Info:2323 Hours on the rig. Rig runs great. Bought directly from Geoprobe in 2003. 1 Owner. Ready to work. Comes with 1.25-inch rods/Macrocore Sampler and 2.25 inch Dual Tube Setup. The rig has built-in Inverter. 50 Gallon Water tank. Tool Rack. 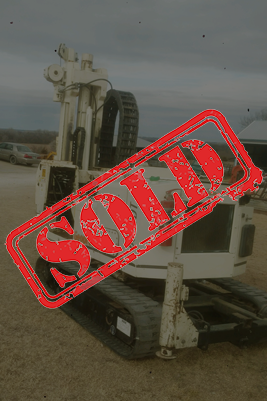 Bought another 5410 and need to sell this one. 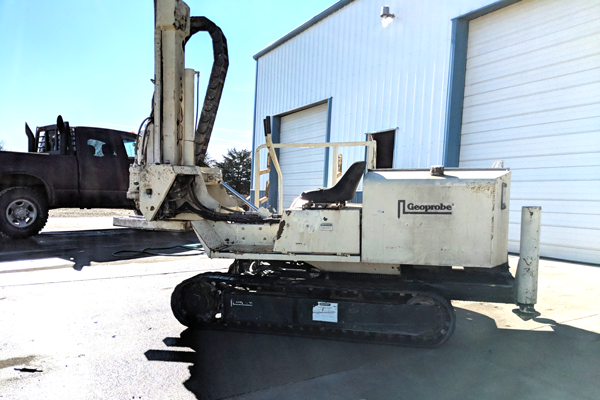 Tons of photos that document condition and rig upon request. 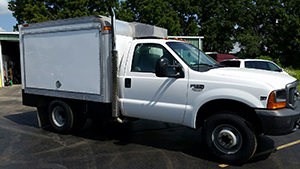 Additional Info: 2002 F350 SRW SuperCab with a 7.3 Liter Powerstroke. The motor is flawless. Drilled and Slotted Rotors up Front. No problems. Good brakes and Tires. 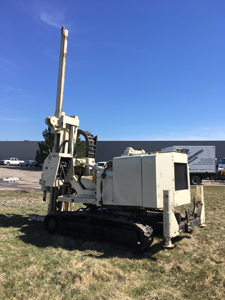 Additional Info: 1991 Simco SK-1 HSA Drill Rig (SN: 891204), New (2011) Deutz Diesel 3 HP Air Cooled Engine with 96.1 hours, Extended Mast, 74” Stroke, In/Out Slide Base, Manual Off-hole Tophead, Cathead, 18,000 lbs Winch, Mounted on Simco 3600 single axle trailer (VIN #1S9DS0910J1236173) with Hydraulic Leveling Jacks, Tool Box, New Tires, 55 feet AW Rod, 47 feet 3-1/4” ID three Key Hollow Stem Auger, Two Cutting Heads, 32 Feet 6-1/4” ID Hollow Stem Auger with Cutting Head. 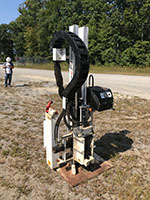 PTO rebuilt and upgraded in 2015. The rig and head are fully operational. 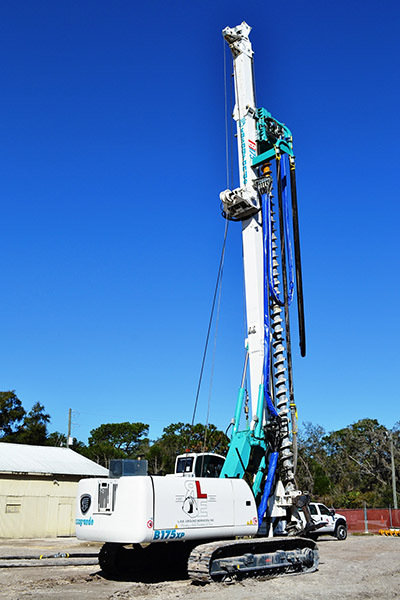 The rig just drilled a 300ft hole in till last month. Protected by a shell with lockable doors. Unit run time is 1,953 hours (approximately 50% below average). Used mostly as a spare unit. 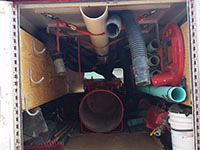 Vacuum system with pump and tank. 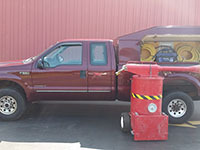 Built-in water decon system with a tank and pump. Expanded tool and supply racks. 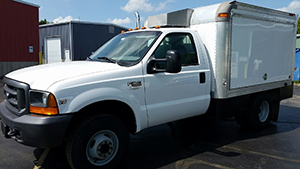 Additional Info:2004 Ford F350-XLT heavy duty. 4X4, 8 cylinder with 97,667 odometer miles. 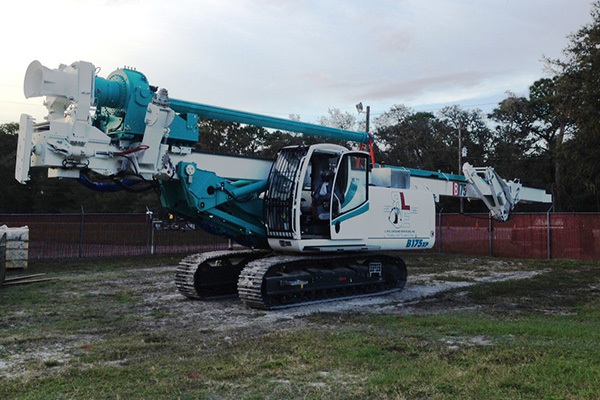 Driven by only 3 operators. 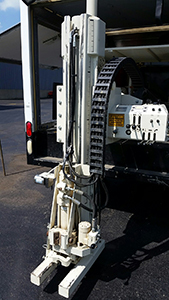 Mechanically sound, no break downs, properly maintained. 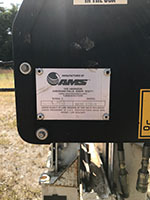 Additional Info: Older Working AMS 9630 VTR-M, no tooling. Make an offer. 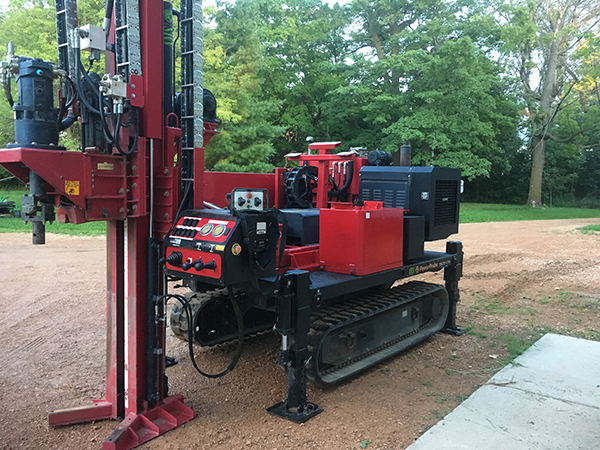 Additional Info: The vacuum excavation system (or air knife) is used for potholing, daylighting, or otherwise making a hole in the ground in the safest, most time-efficient way possible. 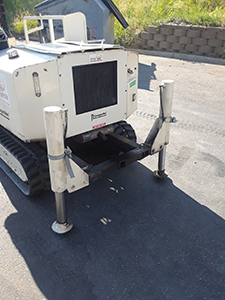 This unit pictured has been used effectively at gas stations and other similar sites where health and safety concerns often require its use. 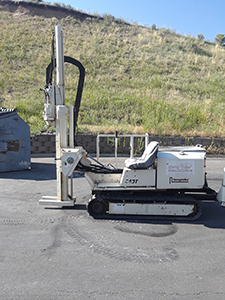 The system consists of the equipment that is pictured (not including the truck), plus a trailer mounted air compressor (not part of this package), making it one of, if not the most, compact vacuum excavation systems available on the market today. This system makes indoor work or work in compact places or properties, a breeze where traditional units would have great difficulty working. 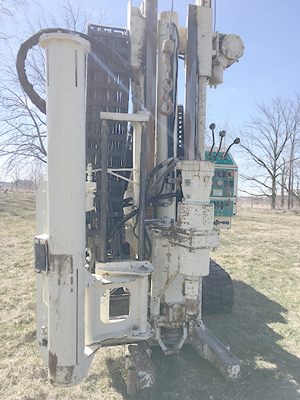 Another advantage of this unit is that the spoils are kept adjacent to the hole, at shovel height. 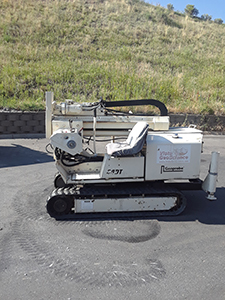 Will sell it as outfitted exactly how we use it every day (without the air compressor, which can be rented at equipment rental shops close to your job site). 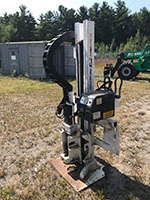 Airknife can also be pallet shipped as needed and would easily fit inside a cargo van.